What does it mean, and what is it? The Sanskrit word Chakra translates to wheel or disk. In yoga, this term refers to the wheel of energy in our bodies. There are seven main chakras, which align the spine. They start from the base of the spine – the Root Chakra, all the way to the crown of the head – the Crown Chakra. This invisible energy within us is called Prana, it is the vital life force which keeps up vibrant, healthy and alive. 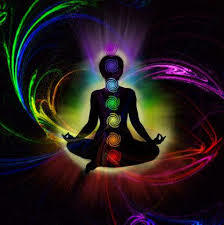 The importance of the chakras is to keep the wheels of energy open and in balance. If there is a blockage in one of the energy centres, the energy cannot flow, this can effect our emotional, spiritual, and psychological states of being. The key is to have awareness. Becoming aware of the imbalance in our energy body, understanding and working through the reasons why it is blocked, will help us to bring our body back into harmony and alignment again. The chakras located on the lower part of our body are our instinctual side, the highness ones our mental side. Reiki is a Japanese technique used to help bring the Chakras into balance. The word Reiki is made of two Japanese words – Rei which means ‘Higher Power’ and Ki which is ‘life force energy’. Reiki is not a religion, so there is no dogma, and there is nothing you must believe in order to learn and use Reiki. Reiki Healings can be very useful and effective in bringing the Chakras, the energy centres in our bodies back into a healthy flow again. Helping us to live a healthier, happier and more joyful life.